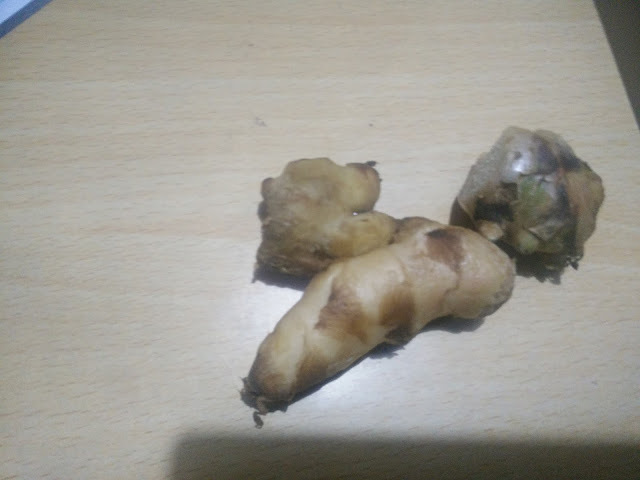 India 12 September 2016: The ginger plant is a creeping perennial plant with a thick, tuberous underground stems and ginger plant has an ability to grow up to one metre in height. 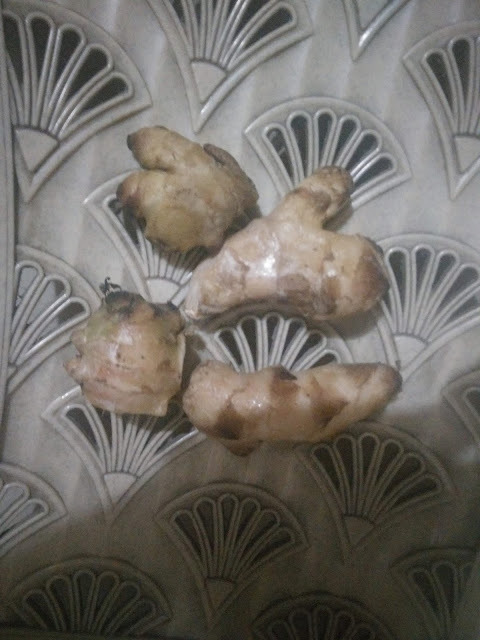 Ginger is Cultivated mainly in tropical countries Jamaican ginger is one of the best variety of gingers used in many cuisines. 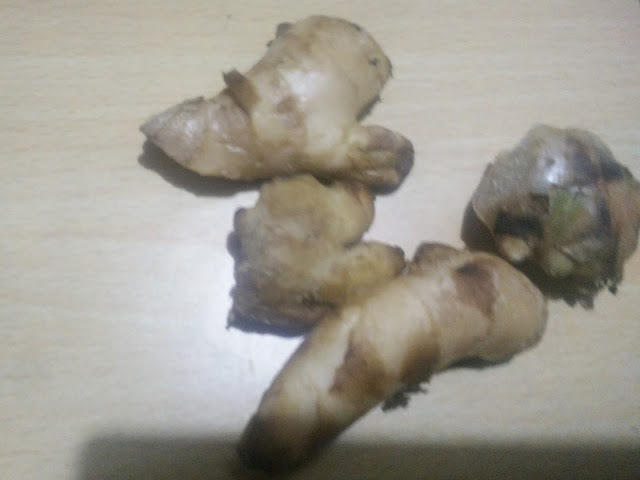 Usually dried ginger are hotter in taste than fresh ginger.The ginger we use is the root or underground stem (rhizome) of the ginger plant. 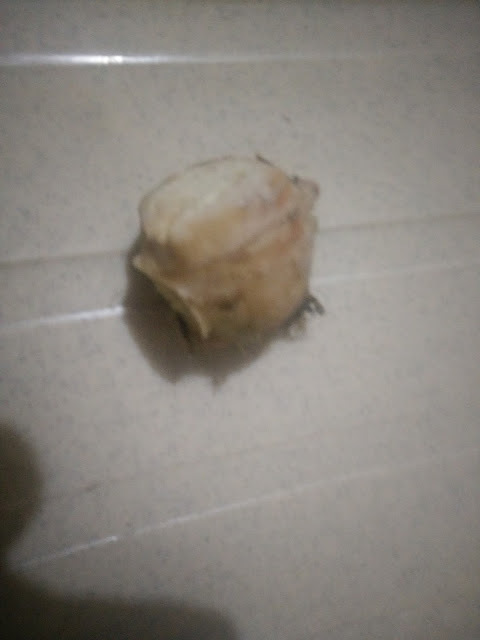 It can be consumed fresh, powdered, dried as a spice, in oil form or as juice. Aadarak we called it in Hindi, In Marathi Ginger is called as Ālē, and in English It is called Ginger, In Malayalam it is called iñci, In Gujarati Ginger is called as adu. 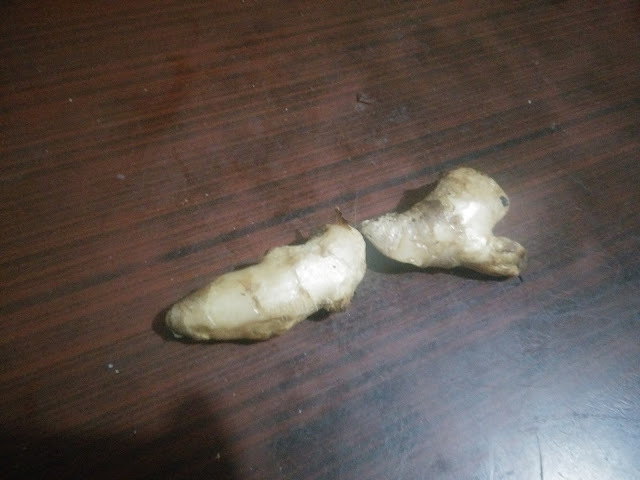 Ginger belong to Zingiberaceae family along with cardamom and turmeric, and is mostly grown in countries like India, Jamaica, Fiji, Indonesia and Australia.The inside flesh of ginger rhizome can be white red or yellow it depends on the type of ginger. 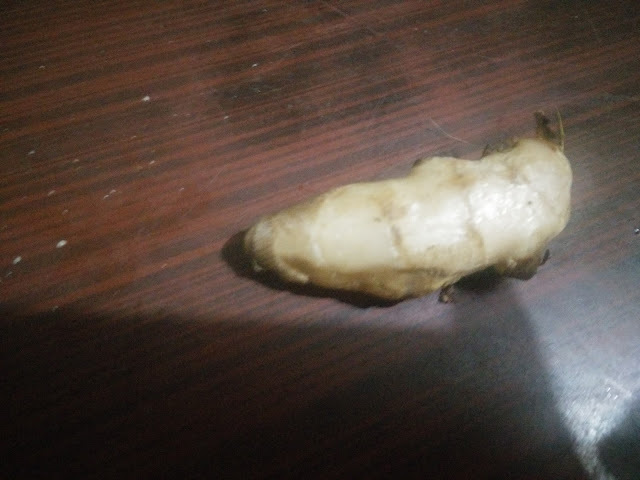 Ginger has a brownish skin which is either thick or thin depending on the time of harvest. Ginger is available throughout the year. 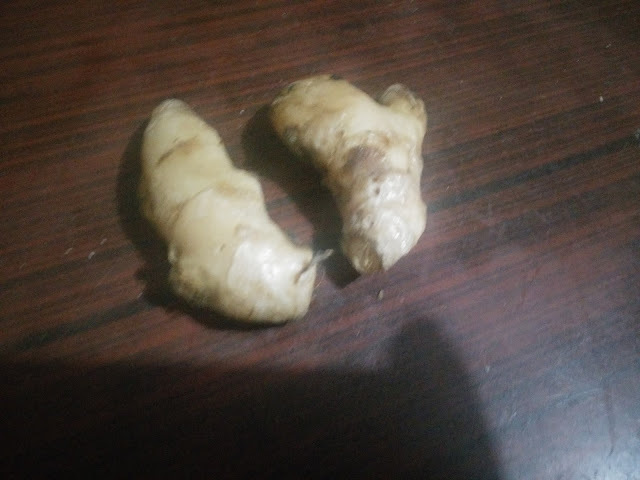 In Asian and Indian cuisine People use Ginger as a common ingredient. For ages ginger has been used for its medicinal properties all over the world. Ginger gives you relief from digestive problems like nausea, loss of appetite, motion sickness and pain. Ginger is healthiest and most delicious spices on the planet. Including various types of fruits and vegetables in your diet help to reduce problems of many health diseases. Ginger is rich in many nutrients and bioactive compounds which have strong health benefits for your body and brain. 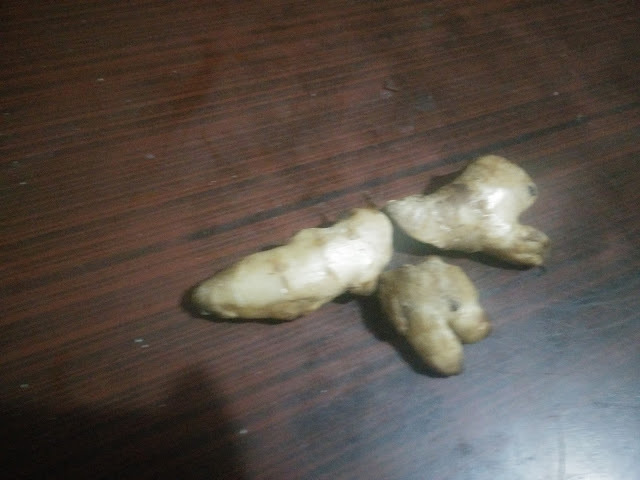 Ginger is Aromatic, pungent and spicy which adds a special flavor and zest to Asian fruit and vegetable cuisines.In India we use ginger in our daily life. Ginger Tea (Chai) is a household favorite and many of our elders used it as a home remedy for fighting cold and flu. 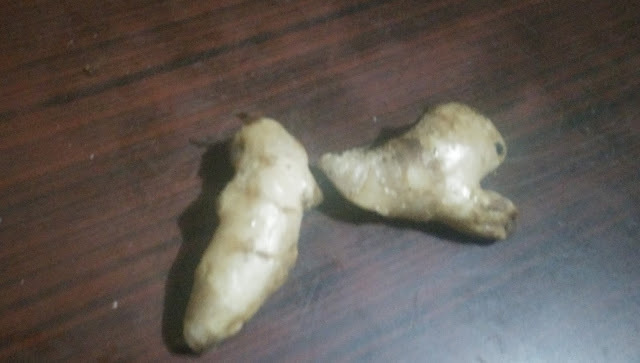 For ages in India and china Ginger was cultivated as a spice and medicine. The oldest medical texts of both countries extensively discuss the therapeutic uses of the ginger both in fresh and dried form. 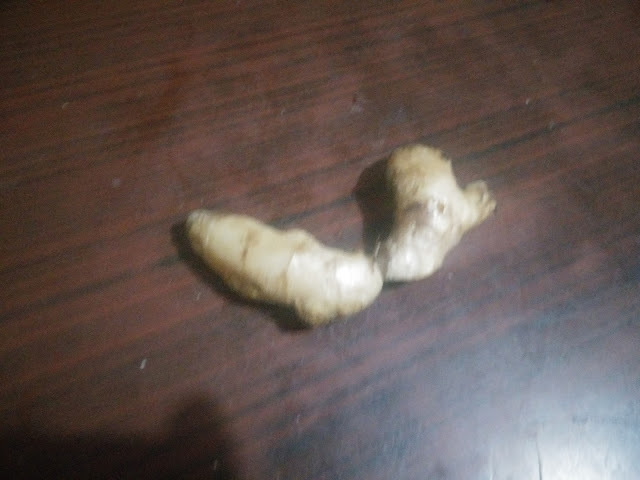 For ages Ginger has been used in chinese medicine as a remedy for treating stomach issues, nausea, diarrhea, cholera, toothaches, bleeding and rheumatism. 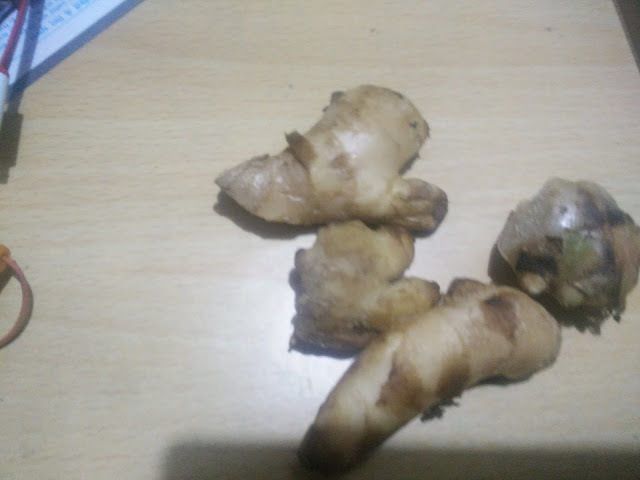 Ginger this herb (Spices) is also used to treat various respiratory conditions including coughs and colds. 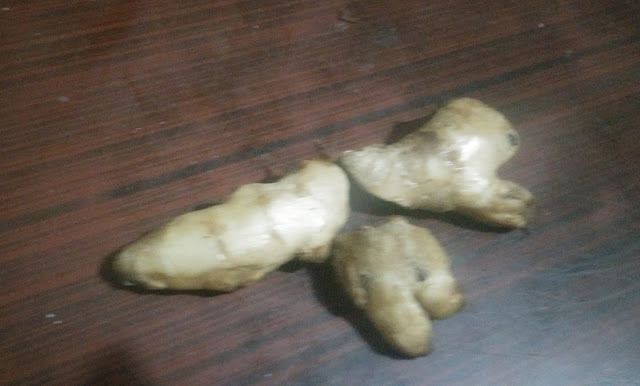 Earlier Chinese sailors used to use ginger to treat sea sickness as ginger is rich in vitamin C. In Ayurveda ginger is considered to be one of the most important herbs. 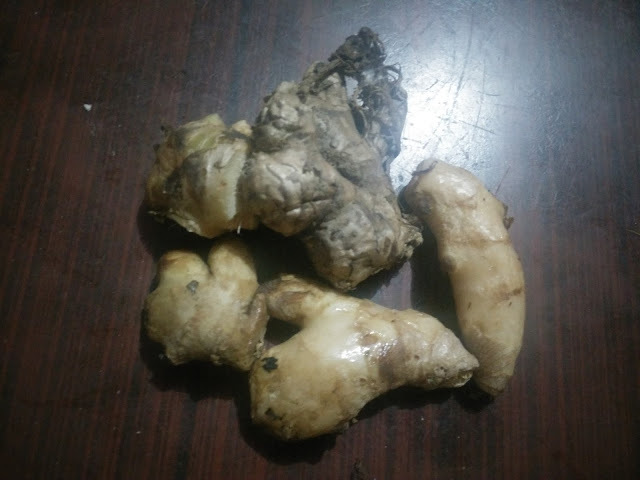 Ginger is mostly prescribed by Ayurvedic practitioners as it is a powerful digestive aid since ginger fuels digestive fire, increases the appetite, and clears the body of toxins. This helps to improve the combination and transportation of nutrients to different body tissues. In Ayurveda Ginger is also been used as a remedy for joint pain, nausea and motion sickness. With so many health benefits it’s no wonder ginger has been a staple in Indian and chinese kitchen and medicinal use. Ginger has antihistamine properties which helps it fight allergies. 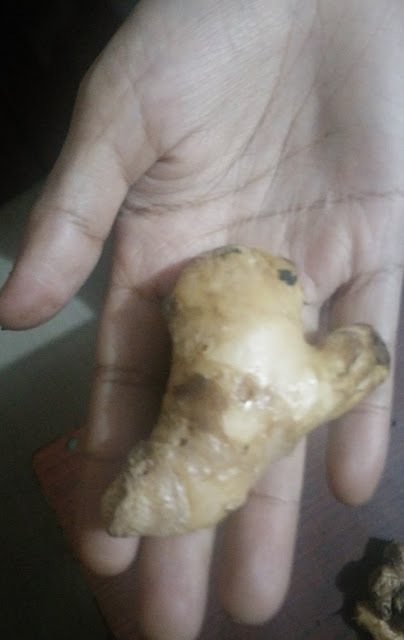 Ginger helps in opening the airway contraction and helps in increasing the secretion of mucus. Ginger has been used as an home remedy for colds and flu for ages. Having a teaspoon of ginger juice mixed with honey works amazing in relieving cough and sore throat. Drinking ginger tea when you have cold helps to get rid of congestion. If you have asthma you should try having fresh ginger juice mixed with fenugreek to get relief. 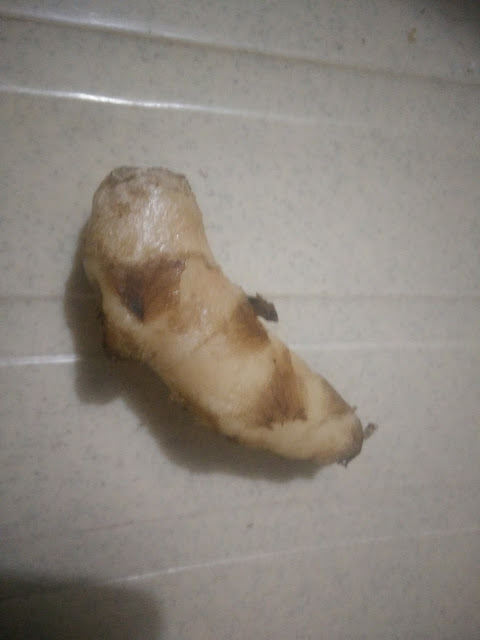 When we eat ginger it causes the gallbladder to release bile which helps to improve digestion. It also improves the combination of nutrients from foods we eat. Ginger is also works as an amazing home remedy for other tummy troubles like stomach cramps, diarrhea and bloating caused due to gastritis. Research has shown that ginger is very effective in fighting cancers like lung, ovarian, prostate, breast and colon cancer. The gingerol compound present in ginger has shown to have anti-metastatic properties and can help treat cancer. Ginger helps in detoxifying the body of all toxins and harmful substances making it very effective in preventing cancer. Chemotherapy is a therapy done to stop the growth of cancer cells in the body. This therapy has side effects like nausea. 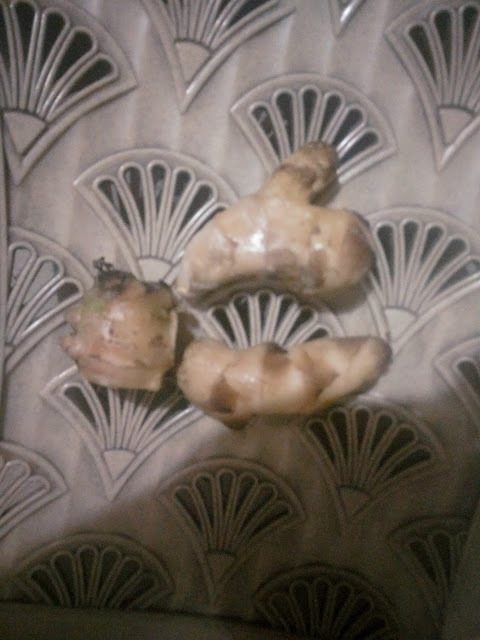 Ginger root supplements work well in reducing nausea caused by chemotherapy. Ginger juice before the chemotherapy reduces nausea and vomiting symptoms as the ginger root provides anti-inflammatory properties to the body. Morning sickness is one of the first signs of pregnancy and is often experienced as nausea and vomiting. 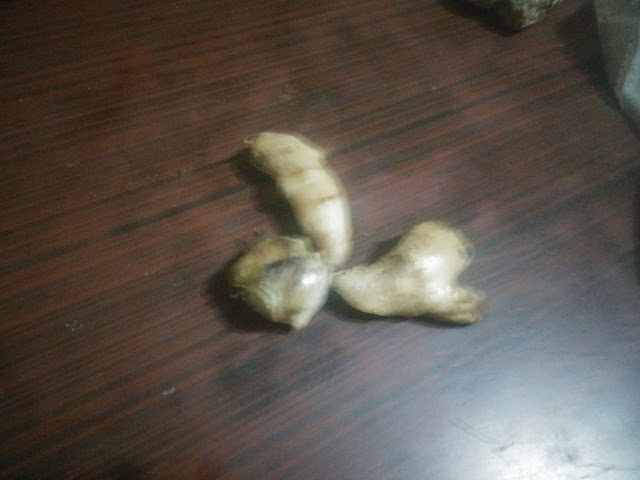 Ginger is very effective in treating nausea. For adults ginger should not be consumed more than 4 grams a day. Pregnant women should not intake more than 1 gram per day. You can take ginger by adding it to lemon juice or add it to tea to make ginger tea. Drinking these ginger infused drinks helps you ward off Nausea. Ginger is very effective in curing chronic inflammation. Ginger provides quick relief from pain caused by inflammation. It prevents cyclooxygenase and five-lipoxygenase-enzymes which lead to inflammation. A study conducted shown that ginger is very effective in reducing inflammation in the colon. Ginger is rich in analgesic and anti-inflammatory properties are effective in reducing the pain and swelling in joints and muscles. 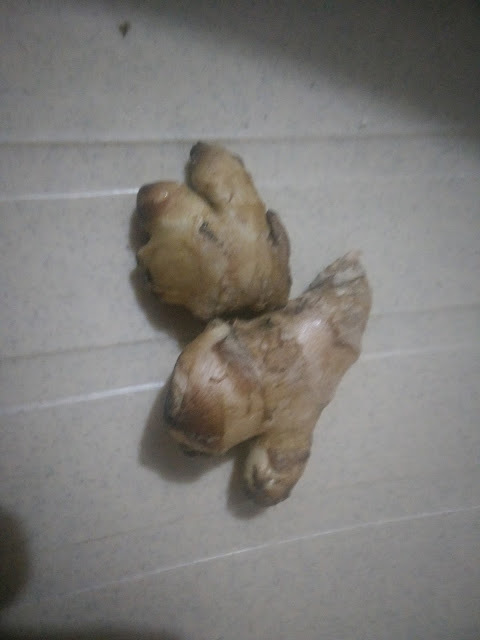 Instead of taking painkillers for mild pain you can choose to take ginger supplement which are natural painkillers. Ginger oil can also be added to your bath water to reduce muscle and joint pain.Mixture made from warm ginger paste and turmeric is useful to give relief to strained muscles. Ginger can be used both externally and internally to treat inflammation. Menstrual pain refers to the pain felt by women during their menstrual cycle. Having ginger before your menstruation cycle starts helps in reducing the symptoms of menstrual pain. A famous Chinese medicine of having Ginger tea with brown sugar is often used in the treatment of menstrual cramps. Ginger reduces the prostaglandins from causing pain and inflammation in the blood vessels which provides relief from migraines. Applying a mix of water and ginger paste on the forehead provides relief from migraine. Gingers works well to lower the blood glucose levels in the body. The glucose levels in the body are connected to your weight gain or weight loss process it also is responsible for how lethargic or energetic you feel the whole day, Daily intake of ginger root supplements in any form can bring a change in your blood glucose levels. 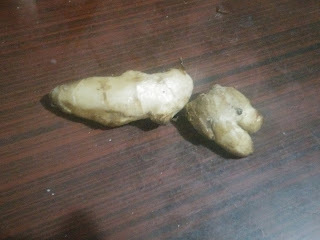 People who have a problem of low sugar levels should always include ginger in their regular diet to avoid such problems. 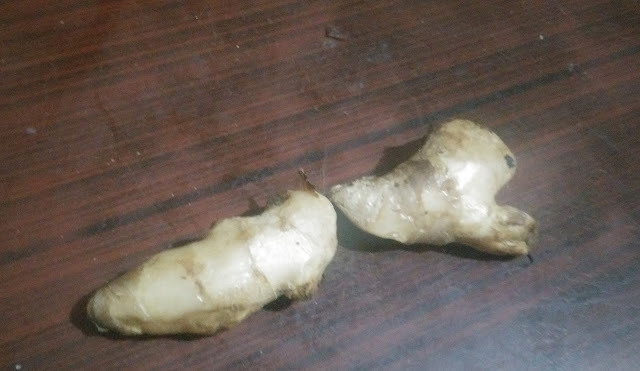 Ginger is amazing in curing an upset stomach as it’s loaded with carminative properties. This property of ginger helps you to get relief from bloating and gas and helps reduce flatulence. Heartburn can be more than a nuisance, and drugs to help are harmful to the body. For ages Ginger has been used as a home remedy to treat heartburn. Having ginger tea is very effective to get rid of heartburn. Alzheimer's is a disease in which the cells of the brains get damaged. According to a study alzheimer is a hereditary disease. Ginger helps to protect and preserve the brain cells. Ginger slows down the process by which the brain loses its cells. Daily intake of ginger in your diet will help to protect you against alzheimer’s. Ginger is said to be one of the best fat burning foods. Ginger eliminates the stubborn fat from your body. Ginger root also makes you feel full for longer, This limits your food intake, thereby causing weight loss. Ginger is loaded with many essential oils like zingerone, gingerol, farnesene, shogaol and β-phelladren, citral and cineol. These essential oils soothe the nerves and have antibacterial and antipyretic benefits to the body. Ginger is rich in antioxidants and essential oils which help in keeping cholesterol and blood pressure under control. It also helps prevent internal blood clots. Having a strong immune system helps keep all the diseases and infections away. Instead of taking medicines and drugs to cure diseases it’s always better to take preventions to avoid them. 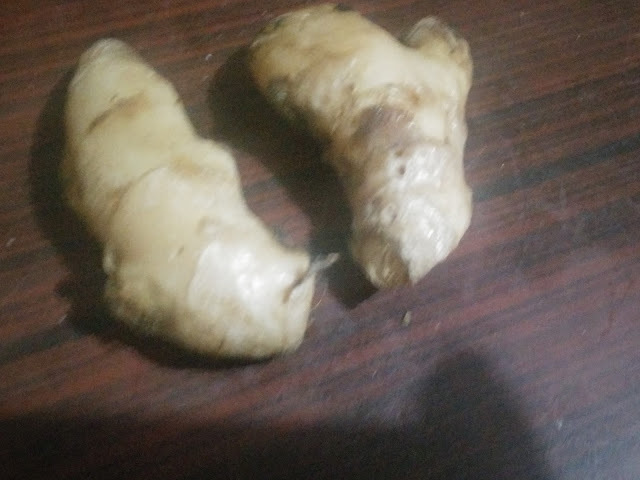 Ginger helps in improving immunity. Daily intake of ginger in your diet helps to reduce the risk of many fatal diseases by boosting your immune system. Osteoarthritis is an ailment that results from breakdown of joint cartilage and underlying bone. Ginger is known to help in reducing inflammation that is caused by Joint diseases like osteoarthritis. Ginger juice can increase energy in people who suffer from osteoarthritis. Daily intake of ginger juice increases joint mobility and relaxes the joint muscles. 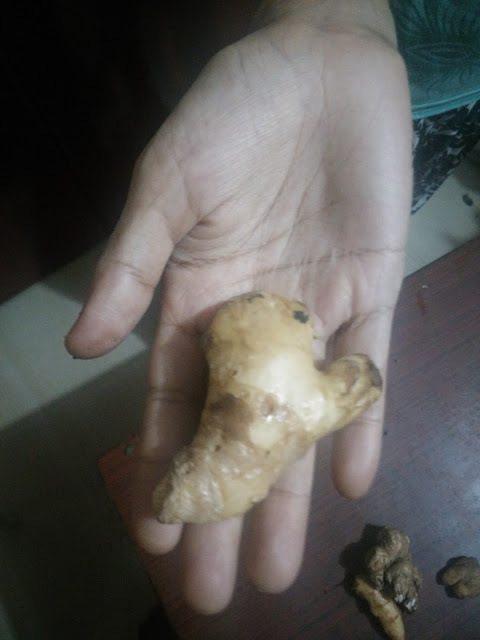 Ginger is very effective in strengthening the heart and is used in chinese medication for the same. Drinking ginger juice daily can also reduce bad cholesterol and also prevent internal blood clotting. Ginger plays a vital role in the prevention of health issues like stroke. 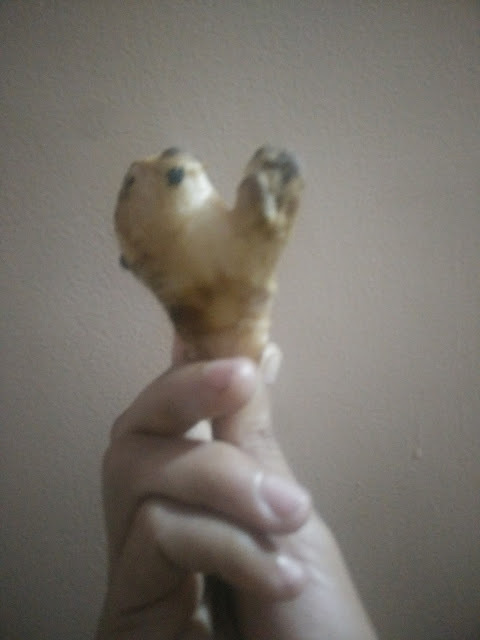 To keep your heart strong you should include ginger as a part of your regular diet. Ginger is rich in antioxidants which help fight free radicals which are caused by the metabolic reactions in the body. The antioxidants protect the body tissues from damage caused by free radicals. When the cells of the tissue are damaged cell mutation takes place which lead to medical issues like rheumatism, arthritis, and cataracts. 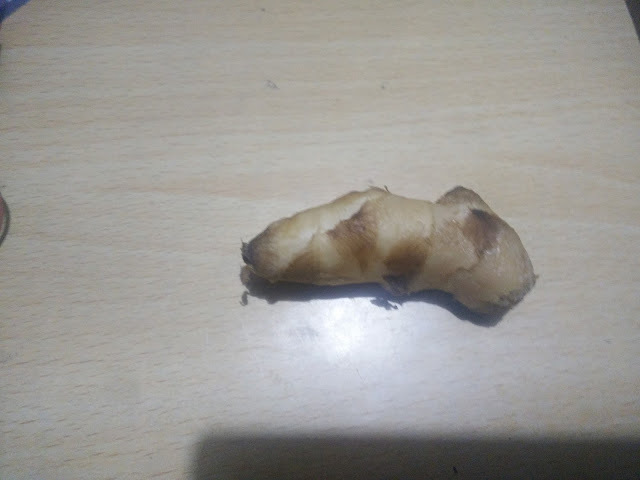 Ginger is a hot spice in nature. It helps in keeping the body warm and protects the body from cold, hence during winters people like having ginger tea. 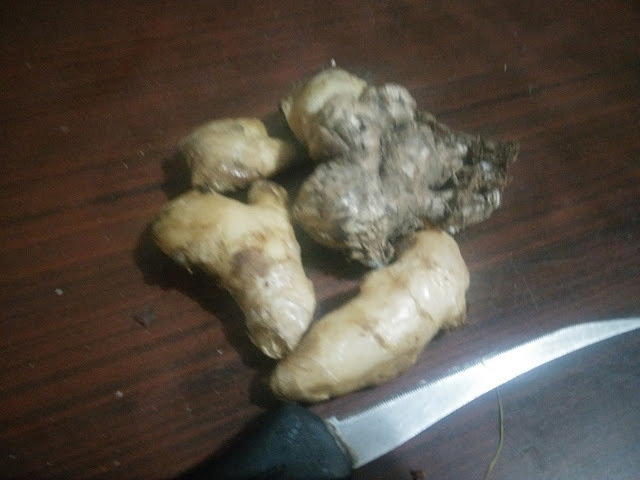 Study has shown that the heat generating property of ginger has the ability to dilate blood vessels, which helps in protecting the body from hypothermia and other medical conditions that are caused by cold weather. Dilation of blood vessels also promotes blood flow. Daily intake of ginger ale has many benefits for people having kidney problems. Ginger is known for its properties to dissolve kidney stones. Ginger oil improves concentration power, so that you can meditate well. Ginger oil lowers the negative energy and increases your self confidence. It helps restore your internal energy balance due to which you feel positive and motivated to stick to your aims and try to overcome the problems. Ginger oil is useful in removing the negative part of your personality so that you change for the better. Exposure to toxic products or eating infected and stale food causes food poisoning. One of the best home remedies to remove the toxins caused by food poisoning from the body rapidly is to have ginger juice. 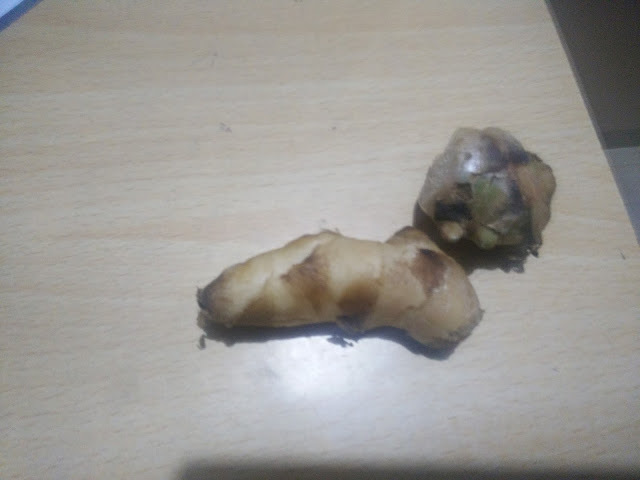 Ginger is also effective in treating bacterial dysentery and other intestinal infections. Testicles are a vital and delicate organs in male, and inflammation in the testicular region can cause immense pain. Use of ginger oil on the inflammation reduces the pain significantly. Ginger essential oils work like miracle to reduce cellulite and symptoms of varicose veins. Use a combination of other essential oils like cypress or rosemary with ginger oil if you have sensitive skin. Ginger are loaded in chemicals like shogoals and gingerols which provide you with relief from an upset stomach by fighting the bacteria. They also soothe the intestinal tract, hence preventing motion sickness, giving relief from vomiting, nausea, diarrhea, and colicky stomach cramps. Ginger is a natural remedy for reducing pain caused by arthritis. Ginger has anti-inflammatory properties and using it is safe for most people, both topically and internally. Ginger is loaded with as many as 40 antioxidant compounds that protect our skin from aging. It improves the texture of your skin by getting rid of the toxins and boosting the circulation of blood which results in the delivery of more nutrients to the skin. The antioxidants fight against the free radicals, thus keeping your skin looking young. It also improves the elasticity of the skin, making your skin more firm and youthful. In this way, it slows down the signs of aging. Application of fresh ginger juice can help in reducing the pain and healing burnt skin by rejuvenating damaged skin cells. To fade the scars of wounds you can also rub a fresh ginger slice on the skin two to three times a day. Make sure to use a fresh slice of ginger each time for topical application. Ginger is known to be a powerful antiseptic and cleansing agent, ginger helps in keeping the skin clean and free of blemishes. Ginger also energizes and rejuvenates your skin. Ginger minimizes the rate of acne formation and eruption by fighting and clearing the acne-causing bacteria which makes it one of the best natural anti acne product. Hypopigmented scars is a situation when the skin loses its pigmentation, and are generally white or much lighter than the actual skin tone. Ginger is used to reduce the appearance of hypopigmented skin to a significant extent. To make this treatment you need to cut a sliver of fresh ginger and dab it on the hypopigmented areas and leave it there for some time. You will see a little improvement within a week or two. Follow this treatment every day to see noticeable results. Ginger is known for its skin toning properties which help you get a glowing skin. To get radiant skin you can use ginger to make a face mask. Grate an inch of ginger and mix it with 2 tbsp honey and a 1tbsp of lemon juice and refrigerate it for 30 minutes. Apply this mask on your face and wash it off after 30 minutes to get a smooth radiant skin. Ginger increases blood circulation to the scalp, which strengthens and nourishes the hair follicles and promotes hair growth. Ginger is rich in fatty acids which moisturizes the hair. Making a hair mask by grating one inch of ginger and adding one tablespoon of jojoba oil to it. Massage your head with this mixture in circular motions and let it sit there for 30 minutes.Now wash and shampoo your hair. Applying this hair mask promotes hair growth. Ginger is loaded with vitamins, zinc and phosphorus which help in making your dry and brittle hair strong and shiny. For ages ginger was used as a treatment for hair loss as ginger extracts make your hair stronger and reduce hair fall by strengthening the hair follicles. When the hair follicles are damaged due to exposure to heat and pollutants it causes the hair to have split ends. Ginger is known for strengthening the hair follicles, inturn it stops split ends. One of the most common scalp problems faced by many is Dandruff. Ginger is known to have antiseptic properties which help to treat dandruff. Ginger oil is an age old home remedy to get rid of dandruff. To make this home remedy, you need to mix two tablespoons of freshly grated ginger with three tablespoons of olive oil and to this add a little lemon juice. Massage your scalp using this mixture and let it sit there for 15 minutes. Later wash it using a mild shampoo. For best results repeat this treatment thrice a week to get a dandruff-free scalp. Making your own ginger ale at home is very easy as you don’t need many things to make it. Also the cost involved in making ginger ale at home is very low. Making ginger ale at home saves you a lot of money and also it’s very much fresh. Strain this syrup and then let it cool down to room temperature. Add the lemon juice to the cooled down syrup and stir. Gingerol: The yellow, pungent oil present in ginger which gives it an intense flavor is gingerol. The chemical structure of gingerol is same as that of capsaicin, the compound present in hot peppers which makes them spicy. Gingerol is said to possesses anti-inflammatory properties and also helps in managing blood sugar. It regulates two vital enzymes that prevent type-2 diabetes and stops cyclooxygenase which is an enzyme that causes inflammation. Shogaol: The phenolic compound found in ginger called shogaol has been found to possess many anti-inflammatory and anticancer properties, making it effective against breast cancer. They have greater anti-inflammatory and antitumor effects than gingerol, resulting in prevention of lung and colon cancers. Vitamins And Minerals: Ginger is a rich source of vitamins and minerals. Vitamin B6 which is effective in reducing inflammation is loaded in ginger. A single 1 oz. serving of ginger provides our body with about 2.5 % of the recommended daily value (DV) of vitamin B6. 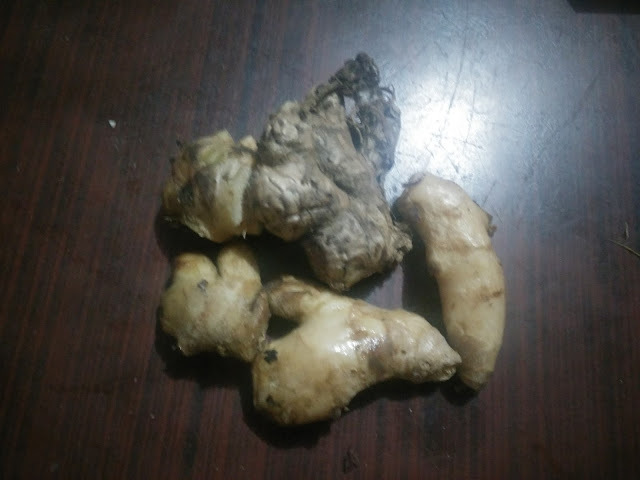 The vitamin B6 content of fresh ginger is much higher than dried or sugar cured ginger as drying or adding sugar destroys the vitamin B6 content of ginger. Ginger also contains good amounts of important minerals like magnesium, potassium, copper and manganese. One ounce of ginger gives about 2 to 3% of the needed Daily Value of magnesium, potassium, copper and manganese. Potassium is important for maintaining the electrolyte balance in the body fluids, magnesium helps in relaxing the muscles, copper helps in managing the blood sugar and bone metabolism, and the antioxidant enzyme superoxide dismutase contains manganese. 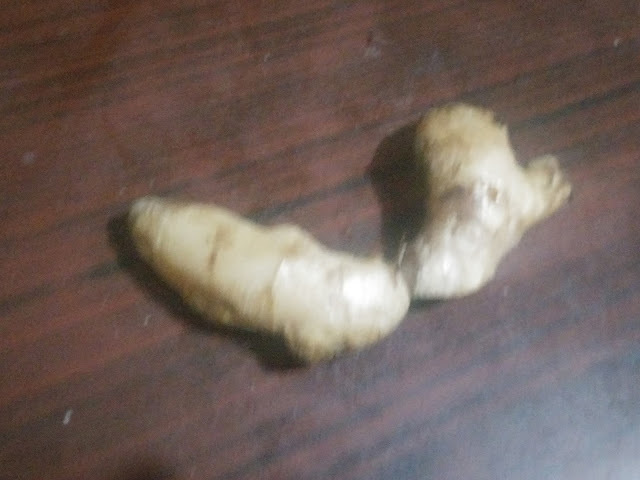 Ginger root has always been used to add flavors to food. Mixing dried or fresh ginger root with onion, cumin, garlic, tomato, cilantro and mustard seeds in a blender makes a flavorful paste which can be added to curries. This paste can be added to many varieties of soups and curries. 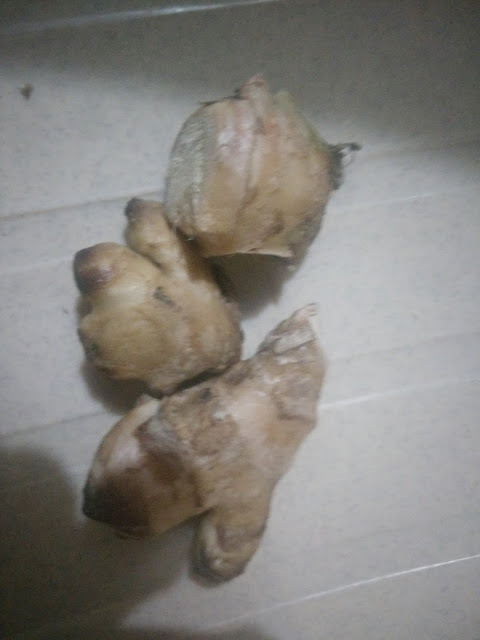 Traditionally Ginger root is used in making lemon spondias and lemon pickles. 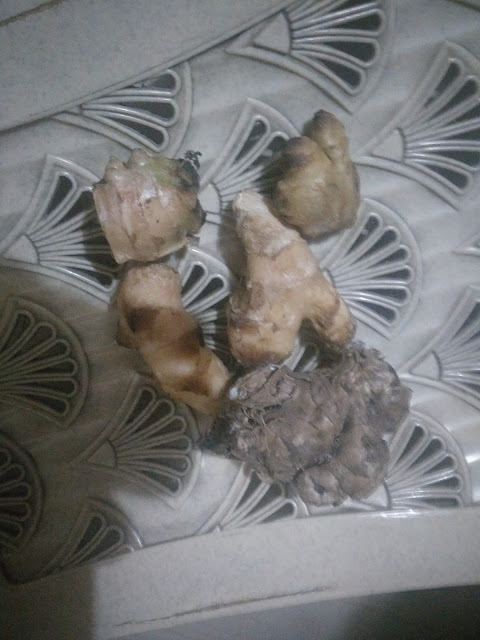 Different types of candies, gingerbread and biscuits and spicy snacks can be made by using fresh ginger roots.